The moment that the Apollo-11 mission touched down on the Moon, followed by Neil Armstrong‘s famous words – “That’s one small step for [a] man, one giant leap for mankind” – is one of the most iconic moments in history. The culmination of years of hard work and sacrifice, it was an achievement that forever established humanity as a space-faring species. And in the year’s that followed, several more spacecraft and astronauts landed on the Moon. But before, during and after these missions, a number of other “lunar landings” were accomplished as well. Aside from astronauts, a number of robotic missions were mounted which were milestones in themselves. So exactly what were the earliest lunar landings? The first missions to the Moon consisted of probes and landers, the purpose of which was to study the lunar surface and determine where crewed missions might land. This took place during the 1950s where both the Soviet Space program and NASA sent landers to the Moon as part of their Luna and Pioneer programs. After several attempts on both sides, the Soviets managed to achieve a successful lunar landing on Sept. 14th, 1959 with their Luna-2 spacecraft. After flying directly to the Moon for 36 hours, the spacecraft achieved a hard landing (i.e. crashed) on the surface west of the Mare Serenitatis – near the craters Aristides, Archimedes, and Autolycus. The primary objective of the probe was to help confirm the discovery of the solar wind, turned up by the Luna-1 mission. However, with this crash landing, it became the first man-made object to touch down on the Moon. Upon impact, it scattered a series of Soviet emblems and ribbons that had been assembled into spheres, and which broke apart upon hitting the surface. The next craft to make a lunar landing was the Soviet Luna-3 probe, almost a month after Luna-2 did. However, unlike its predecessor, the Luna-3 probe was equipped with a camera and managed to send back the first images of the far side of the Moon. The first US spacecraft to impact the Moon was the Ranger-7 probe, which crashed into the Moon on July 31st, 1964. This came after a string of failures with previous spacecraft in the Pioneer and Ranger line of robotic spacecraft. Prior to impact, it too transmitted back photographs of the Lunar surface. This was followed by the Ranger-8 lander, which impacted the surface of the Moon on Feb. 20th, 1965. The spacecraft took 7,000 high-resolution images of the Moon before crashing onto the surface, just 24 km from the Sea of Tranquility, which NASA had been surveying for the sake of their future Apollo missions. These images, which yielded details about the local terrain, helped to pave the way for crewed missions. The first spacecraft to make a soft landing on the Moon was the Soviet Luna-9 mission, on February 3rd, 1966. This was accomplished through the use of an airbag system that allowed the probe to survive hitting the surface at a speed of 50 km/hour. It also became the first spacecraft to transmit photographic data back to Earth from the surface of another celestial body. The first truly soft landing was made by the US with the Surveyor-1 spacecraft, which touched down on the surface of the Moon on June 2nd, 1966. After landing in the Ocean of Storms, the probe transmitted data back to Earth that would also prove useful for the eventual Apollo missions. Several more Surveyor missions and one more Luna mission landed on the Moon before crewed mission began, as part of NASA’s Apollo program. The first crewed landing on the Moon was none other than the historic Apollo-11 mission, which touched down on the lunar surface on July 20th, 1969. After achieving orbit around the Moon in their Command Module (aka. the Columbia module), Neil Armstrong and Buzz Aldrin rode the Lunar Excursion (Eagle) Module down to the surface of the Moon. Once they had landed, Armstrong radioed to Mission Control and announced their arrival by saying: “Houston, Tranquility Base here. The Eagle has landed.” Once the crew had gone through their checklist and depressurized the cabin, the Eagles’ hatch was opened and Armstrong began walking down the ladder to the Lunar surface first. About 20 minutes after the first step, Aldrin joined Armstrong on the surface and became the second human to set foot on the Moon. The two then unveiled a plaque commemorating their flight, set up the Early Apollo Scientific Experiment Package, and planted the flag of the United States before blasting off in the Lunar Module. Several more Apollo missions followed which expanded on the accomplishments of the Apollo-11 crew. The US and NASA would remain the only nation and space agency to successfully land astronauts on the Moon, an accomplishment that has not been matched to this day. Today, multiple space agencies (and even private companies) are contemplating returning to the Moon. 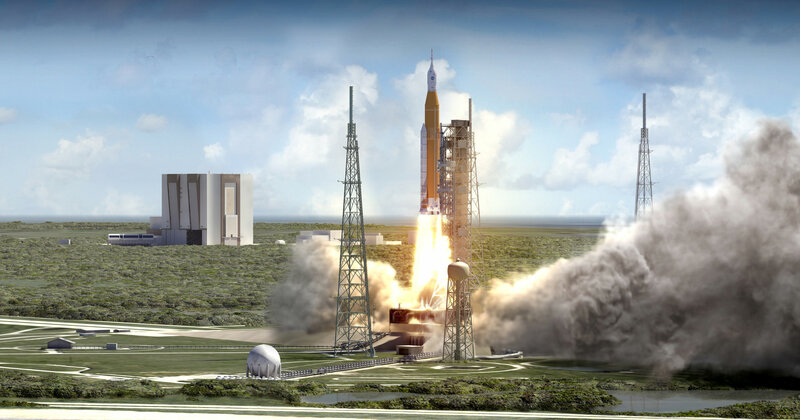 Between NASA, the European Space Agency (ESA), the Russian Space Agency (Roscosmos), and the Chinese National Space Administration (CNSA), there are several plans for crewed missions, and even the construction of permanent bases on the Moon. We have written many great articles about the Moon here at Universe Today. 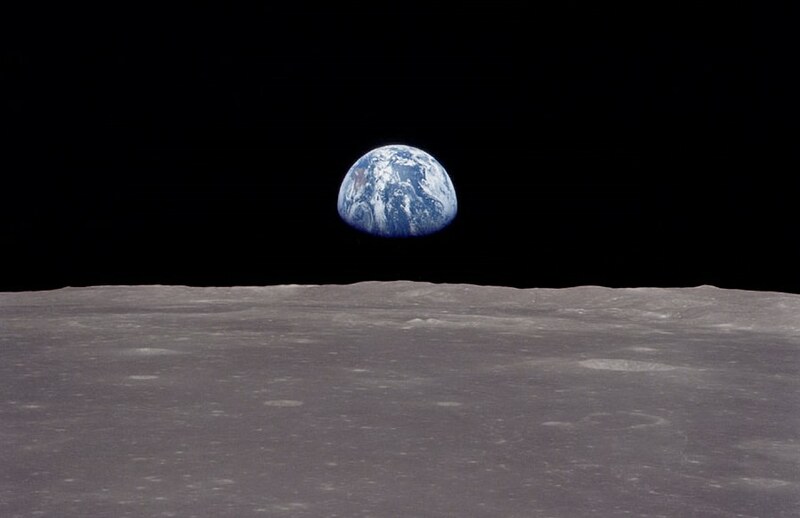 Here’s Who Were the First Men on the Moon?, How Many People Have Walked on the Moon?, How Do We Know the Moon Landing Isn’t Fake?, Where Were You When Apollo 11 Landed on the Moon?, What Does The Apollo 11 Moon Landing Site Look Like Today? In tribute to Neil Armstrong, first human to grace another world here’s a new gallery of unpublished photos to enjoy as shared by my good friend – space photographer John Salsbury. Armstrong was the first person to walk on the Moon as the commander of NASA’s Apollo 11 flight in 1969. Neil passed away on August 25, 2012 at age 82. “Today, we pay tribute to a pioneering American; an explorer, a patriot and an individual who, with ‘one small step,’ achieved an impossible dream. Family, friends and colleagues of Neil’s gathered to reflect on his extraordinary life and career, and offer thanks for the many blessings he shared with us along the way. In memory of Neil Armstrong, First Man to set foot on the Moon, here’s a summary of Apollo 11 highlights and a collection of some tributes and photos to celebrate his life and the indelible inspiration he gave to current generations and all those yet to come to take up the noble torch for science and exploration. He became an everlasting icon for the ages when he took, “one giant leap for mankind”, and accomplished one of the greatest feats in human history. Armstrong passed away at age 82 on Saturday, August 25, 2012 due to complications from heart bypass surgery. Neil Armstrong was the commander of the three man crew of Apollo 11, which included Buzz Aldrin and Michael Collins. 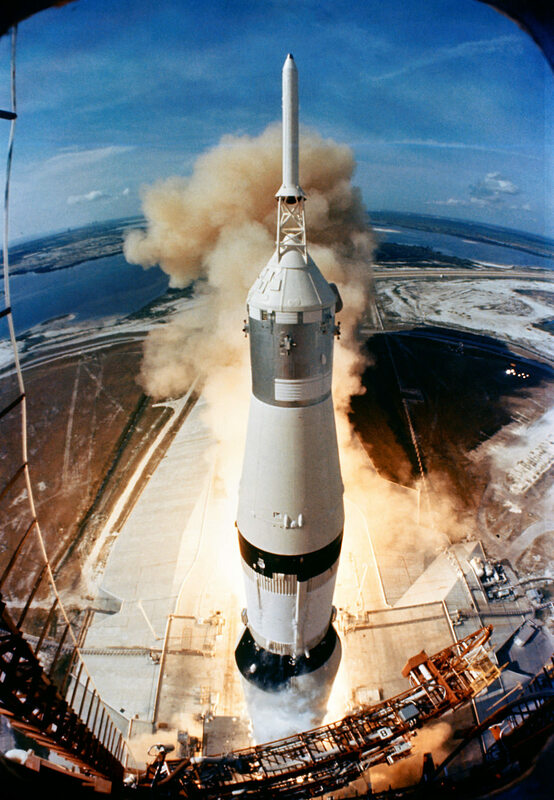 The trio blasted off on their bold, quarter of a million mile moon mission from Cape Canaveral, Florida on July 16, 1969 to fulfill the lunar landing quest set by President John F. Kennedy early in the decade. Armstrong and Aldrin safely touched down at the Sea of Tranquility on the lunar surface on July 20, 1969 as hundreds of millions across the globe watched in awe and united in purpose. Armstrong carried all of humanity with him when he stepped off the footpad of NASA’s Apollo 11 Lunar Module and became the first representative of the human species to walk on the surface of another celestial body. The duo collected about 50 pounds (22 kg) of priceless moon rocks and set out the first science experiments placed by people on another world. Tributes to Armstrong have been pouring in – He is often described as a reluctant hero who gave credit to others. “As long as there are history books, Neil Armstrong will be included in them, remembered for taking humankind’s first small step on a world beyond our own. “Besides being one of America’s greatest explorers, Neil carried himself with a grace and humility that was an example to us all. When President Kennedy challenged the nation to send a human to the moon, Neil Armstrong accepted without reservation. “He was the best, and I will miss him terribly,” said Michael Collins, Apollo 11 command module pilot.